Kingston KTH-PL313 8G PC3-10600 Reg ECC RAM. 500205-071 (HP/Compaq); 500662-48G (6x8GB) (HP/Compaq); 500662-B21 (HP/Compaq); 500662-S21 (HP/Compaq); 501536-001 (HP/Compaq); 516423-B21 (1066MHz) (HP/Compaq); 516423-S21 (1066MHz) (HP/Compaq); 593913-B21 (HP/Compaq); FX622AA (HP/Compaq); NL670AV (12x8GB) (HP/Compaq); NW089AV (8x8GB) (HP/Compaq). 2 x 8GB Sticks (16GB Kit) - PC2-5300F - Fully Buffered RAM Modules - 240 Pin - DDR2 - 667. 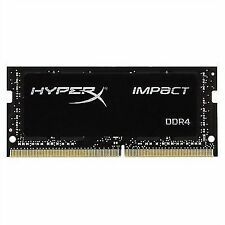 Kingston - DDR2 - 16 GB : 2 x 8 GB - FB-DIMM 240-pin. DDR2 SDRAM - FB-DIMM 240-pin. These RAM upgrade kits will work in many servers - not just HP. 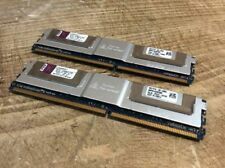 2 x Kingston 8GB PC3 RAM (16GB total). In such a case we may make a reasonable deduction to cover the loss of value of the product. HP ProLiant ML370 G5 Server series. PROLIANT SERVER DL185 G5. PROLIANT SERVER ML150 G5. PROLIANT SERVER BL25 G2. HP ProLiant DL Servers. PROLIANT SERVER BL260C G5. PROLIANT SERVER BL685C. PROLIANT SERVER DL385 G2-1. DELL : SNPTJ1DYC/8G. Capacity:8GB ( 1x 8GB ). FRU 49Y1438, 47J0149, Dell P/N : A2626085, A2884828, A2884829, A3116517 A3198151, A3721497, A3721502, A3721507, A4051427. Dell Part Numbers: A4051428; A4105728; A4105730; A4105733; A4105735; A4105738; A4114386; A4188261; A5039662; A5691420; A5720608; A5816799; A5816806; A5816814 ; A5816821; A6236346. Pulled from a working Dell server. 8GB DIMMs. (4x 2GB) 2Rx4 PC2-5300F-555-11, equivalent to Kingston F25672F51LP. Capacity:8GB ( 4 x 2GB ). For Dell PowerEdge 1950 1855 1955 2900 2950 M600 R900 SC1430 6800 6850 6900 6950. Dell PowerEdge 2950 Server. Kingston KVR13E9/8i 8GB RAM DDR3-1333 ECC. This will not affect any actions you may take at a later date but it does give us the opportunity to assist you in any way we can without initially being punished. 2 opened, in original box, tested in custom server. Form Factor DDR4. Speed 2400MHz (PC4-19200). Total kit capacity is 32GB. Module Type DIMM. Our knowledge of Dell Parts is second-to-none and we have a large Database which can help with alternative parts which will work in your system. Everywhere from Alaska to Australia, Birmingham to Burma. Ending Soon. New Arrivals. QUICK LINKS. we do not take any responsibilty after this. Why Choose Us! Audio Visual. (8x 1GB) 2Rx8 PC2-5300F-555-11, HP Equiv 398706-051, equivalent to Kingston KTH-XW667/2G . Type: DDR2 PC2-5300F Fully Buffered, 667Mhz, CL5, ECC. Data Integrity Check : Fully Buffered ECC. 8GB (8x 1GB) DDR2 PC2-5300F ECC 667MHZ CL5 2Rx8 Fully Buffered Dimm, FBDIMM. Data Transfer Rate 1600Mhz. Manufacturer Kingston. Error Correction ECC. Capacity 8GB. Bus Type PC-12800. Pins 240 Pin. Kingston 16GB (2x8GB) KTH-XW667/16G 2RX4 PC2-5300F DDR2 RAM Memory. (4x 2GB) 2Rx4 PC2-5300P-555-12, HP: 405476-051, equivalent to Kingston's KTM2759K2/4G, IBM FRU 40T7979. Capacity:8GB ( 4x 2GB ) (Chipkill). 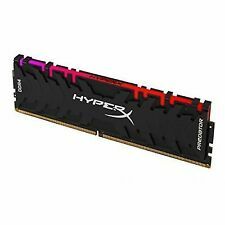 Type: DDR2, 667Mhz, CL5, ECC, REG. 8GB (4x 2GB) DDR2 PC2-5300P ECC Reg 667MHZ CL5 2Rx4 PC2-5300P-555-12. Speed 1600MHz (PC3-12800). SKU KTL-TS316S/8G. Form Factor DDR3. Total: 8GB (2x4GB). Manufacturer: Kingston. Model: KVR16R11D8K4/16. Se habla espanol! MPN KVR16R11D8K4/16. Kingston - DDR2 - 16 GB: 2 x 8 GB - DIMM 240-pin. 667 MHz (PC2-5300). DDR2 SDRAM - DIMM 240-pin. HP Workstation xw9400 ¦ HPE ProLiant BL25p G2, BL260c G5, BL45p G2, BL465c, BL465c G5, BL685c, DL145 G3, DL165 G5, DL165 G5 Special Server, DL185 G5, DL185 G5 Special Server, DL365, DL365 Base, DL365 Entry, DL365 G5, DL365 G5 Base, DL365 G5 Entry, DL365 G5 High Efficiency, DL365 G5 Performance, DL385 G2, DL385 G2 Base, DL385 G2 Entry, DL385 G2 High Performance, DL385 G5, DL385 G5 Base, DL385 G5 Entry, DL385 G5 Performance, DL585 G2, DL585 G5, DL785 G5. Manufacturer:Kingston Technology. Manufacturer: Kingston. Size of each unit: 8GB. Model: KTH-XW667/16G. Se habla espanol! Number of Pins: 240. Manufacturer: Kingston. Type: DDR3 240-PIN. Capacity: 8GB. International Orders. 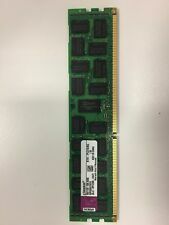 KINGSTON KTH-XW667/8G 4GB 2RX4 PC2-5300F K2 555-11-E0 1.8V 8GB Total 2x4GB THE LISTING IS FOR WHAT YOU CAN SEE IN THE PICTURE WHEN CONTACTING US, PLEASE NOTE Our opening times are Monday to Friday 9.00am to 5.00pm. (Thursdays 9.00am to 7.30pm) We are closed at weekends, and bank holidays. If you are contacting us outside of these times then please be aware that you may not receive a response until the next working day. Lot Of 2 Kingston x 8GB KVR16R11S4/8I 1RX4 PC3-12800 DDR3 Server Memory - New! All In One. We recycle. Extended Warranty 1/2/3 years. Manufacturer Part # KTH-XW667/16G. Manufacturer Kingston. Capacity 16GB (2 X 8GB). Data Transfer Rate 667Mhz. Part NumberKTM-SX316/8G. MPN KTM-SX316/8G. Capacity per Module 8GB. ConditionLike New. Bus SpeedPC3-12800R (DDR3-1600). Model KTH-XW667/16G. Manufacturer Part # KTH-XW667/16G. Manufacturer Kingston. 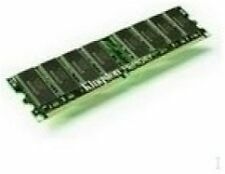 Type DDR2 FB-DIMM SDRAM. Warranty covers hardware only. Software support is NOT provided. We will either 6 MONTHS WARRANTY. Capacity per Module 8GB. Type DDR3 SDRAM. ConditionLike New. Tested working 1 0 0 %. Hynix 8 GB 2Rx4 PC3L 12800R DDR3 RAM ECC REG module. HP 8 GB 2Rx4 PC3-10600R DDR3 Server RAM module REG ECC - 595097-001 / 500205-171. Error correction : ECC. Capacity : 8GB. Marke Kingston. Network cards140 . This has CL9 latency. Bus Clock: 1333 MHz. 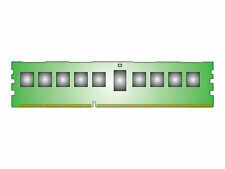 Type: DDR3 RAM. Total Capacity: 8 GB. BUY IT NOW For 8GB (2x4GB) Kingston DDR2 RAM. Manufacturer: Kingston. PowerEdge R905. PowerEdge R805. PowerEdge M905. PowerEdge M805. PowerEdge M605. PowerEdge 2970. Form Factor ECC DDR2 FB DIMMABLE. Producer Kingston. Storage capacity 8GB. Marke Kingston. Produktart DDR2 FB-DIMM SDRAM. Kapazität pro Modul 8GB. 02943 Weißwasser/Oberlausitz. Credit Card. Form Factor RIMM. Capacity per Module 8GB. ConditionLike New. Bus SpeedPC3L-10600R (DDR3-1333). Model KTD-PE313/8G. ECC Yes. Capacity 8GB. Storage & Drives. All hard drives are fully tested by performing a HMG Infosec Level 5 wipe on them. There is a reason we use quality boxes and anti-static bags.